Investors Permit are issued to foreign investors whose business proposal to invest and operate businesses in Fiji. This section gives you an overview on how to qualify for an investors permit. For consideration first before submitting the permit application to the Department of Immigration. An investment of $500,000 plus an approved business trade or undertaking will entitle the investor to a long-term permit of seven years. Investors can also obtain a three (3) year permit for an approved investment of less than F$500,000.00. Conditions for the application for the permit remain the same. Applications for permit for investment in Service Industry need not be referred to FTIB first. These permits are issued in new fields which will crate local employment opportunities. Purchase of existing businesses will not entitle the Investors for a permit readily. That the holder shall not behave in any manner prejudicial to peace, good order, good government or morals. Investors must provide documentation showing that funds have or are being transferred from overseas and that project proposals have been approved by the Ministry of Trade and Commerce. Any foreign investor wishing to invest and reside in Fiji will need to apply for a work permit on the prescribed form to the Director of Immigration, P.O. Box 2216, Government buildings, Suva. Proposals for such projects are to be submitted to the FTIB for consideration first and the post to be approved before permit applications may be finalized by the Director of Immigration. A work permit is usually granted to a foreigner holding professional and technical qualifications in fields where Fiji citizens are not available. Persons designated to represent the interests of foreign investors are also granted work permits. Special permits of up to three years can be granted to investors. Applications also need to liaise with the Reserve Bank of Fiji once initial approval to proceed has been granted by the FTIB. Further approval is required from the RBF on the issuance of shares and local borrowing by non-residents. Any person who proposes to construct a building, or start a manufacturing unit, must also obtain for the purpose a Development Permit from the appropriate City or Town Council. In addition to a Development Permit, a Building Permit is required for a construction of a building. For development in urban areas, appropriate city and Town Council’s permission will need to be sought. Sanitation and hygiene requirements of the Ministry of Health will need to be abided, prior to issuance of a building permit. As per the business License Act, all businesses require a license. City and Town Council’s issue these licenses on the production of a Business Registration Certificate, which is issued by Government on registration of a business. Business license application forms are available from the appropriate city and Town Councils. The main purpose of the Factory Inspectorate is to ensure, as far as is reasonably practical, the safety, health and welfare of all employees. Regular inspections are made in all places of employment. The Factories Section of the Labour department must be advised at least a month before the occupation of the premises of the name of the occupier, location and the nature of the work. The promoters must apply in writing to the Fiji Electricity Authority and the Public Works Department for electricity and water supply. The total load requirements and, if possible, the expected maximum demand (KVA) and monthly consumption in kilowatt-hours for electricity should be considered. The Public works Department will also need to be consulted in respect of disposal of trade effluents. 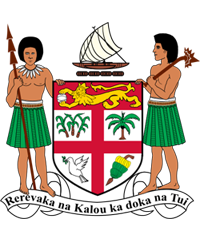 Application for the registration of a Trade Mark should be made to the Administrator General, government Buildings, Suva. Where an application has been accepted, the applicant shall arrange for the publication of a notice in the government Gazette and the local newspapers. If there is no objection within three months from the date of publication, a certificate of registration will be issued against a payment of F$12.00. The registration is valid for 14 years and may be renewed. A foreigner wishing to register a Trade Mark must be represented by a duly authorized agent resident in Fiji. According to the Patent’s Acts, every inventor of any manufactured article shall be entitled, under the conditions and restrictions enacted, to the exclusive rights of this new invention. A petition for a patent in duplicate is lodged with the Administrator-General at the above address. Detailed specifications of the invention are to be enclosed. Once the petition is approved, a certificate for protection shall be issued. The Memorandum and Articles of Association will need to be prepared in compliance with the Companies Act. A Certificate of incorporation will need to be acquired from the Companies Office, prior to commencement of business. The promoter will need to register himself as an employer by completing prescribed application forms from the Fiji National Provident Fund and the Fiji Islands Revenue and customs Authority (FRCA) as well as registering with the VAT Unit. For all investment projects applying for a Foreign Investment Certificate with the FTIB, the following is a checklist of the information required and to be submitted with the completed Foreign Investment Application Form. The foreign Investment Application Form can be obtained from the Fiji Islands Trade and Investment Bureau (FTIB). Furthermore, for specific sectors/activities, the following information needs to be included to the above checklist. Export market information is necessary to that quality requirement could be enforced. Details for marketing the products i.e. export markets, and/or domestic market. If the vessel has been registered under a law of a country other than Fiji, evidence that registration in that country has ceased. Source of financing for the Project. Details of the end users of the services and its sales projections. Forestry sector Restriction: A Foreign Investor carrying on business on forestry must have at least 30% local equity. On approval of the investment project, the applicant will need to liaise with the Reserve Bank, Immigration Department and other authorities as may be mentioned in the approval. The company is to provide evidence to the FTIB within a period of 3 months from the date of approval that it is engaged in the establishment of the project, followed by regular progress reports. The FTIB will monitor the company’s overall performance and will liaise with the Fiji Island’s Revenue and Customs Authority. Commercial production should begin within 12 months effective from the date of approval of the project and the company must inform the FTIB of the date of commercial production/operation.